Based on new techniques and modern machines, we are engaged in offering paramount quality Aerosol Silicon Valve And Packing Grease. It is used for valves in the chemical industry for lubrication of the pneumatic cylinders & as a lubricant for plastic and rubber components. Under the stern vigilance of our vendors’, the provided grease is processed using quality tested chemical substances and latest methodology as per the predefined industry standards. 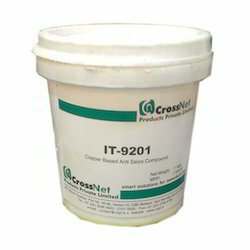 To meet the variegated demands of clients, we offer this grease in various specifications at market leading prices. we are Leading Supplier of Anti Seize Copper Paste From Ahmedabad,Gujarat. 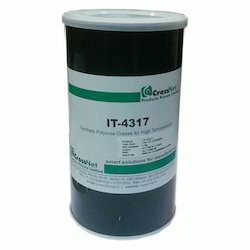 IT-4315 make it a high-performance, long-lasting grease for lubrication of ball, roller or smooth bearings exposed to low temperatures or very high speeds, while presenting low torque resistance (electric motors, machine tool spindles, gearboxes, mechanical elements for aeronautical, space or precision applications). It is especially recommended in the presence of risks involving the inclusion of water or cutting liquids, or the presence of condensation. It also improves the sliding ability of plastics, elastomers and above all of non-ferrous metals. The grease is designed to prolong the lifetime of static and dynamic rubber seals. Typically used as a conducting media in the seam welding machines, the lubricant improves sliding ability and operational reliability of metal-to-plastic or metal-to-elastomeric-contacts. Other applications of the grease are its use as an assembly aid for O-rings, labyrinth seals, sleeves and other seals from rubber material such as used in hydraulic brake systems in motor vehicles, as well as contact lubricant for switches such as used in electrical equipment. The lubricant has good oxidation stability and ageing resistance. It is stable to temperature and has a high load carrying capability. We are offering high quality Food Grade Grease. This is used for filling and packing machinery and valves etc. in the food industry, where there is a likelihood of the grease coming in contact with food stuff, water, solvents, rubber, plastic. • Omnilube® 520, 546, 568, 5131 and 640.- These oils are ISO VG 32 through 150 Hi food grade oils for use in a wide variety of rotary screw, rotary vane, and reciprocating compressors and vacuum pumps. Recommended change-out intervals are 2,000 to 4,000 hours.• Omnilube® 32/46, 68 and 455are novel, recently developed rotary screw and reciprocating air compressor lubricants with greatly improved wear, oxidation and lubricity vs. currently available H-1 food grade synthetic lubricants. These lubricants were designed with a proprietary additive package, are registered with NSF and meet USDA H-1 requirements. Field tests have shown these lubricants to outlast other synthetic H-1 lubricants by 50%to 100%. 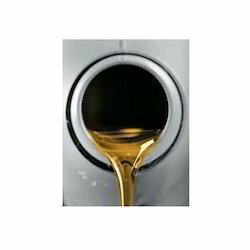 Multipurpose Hydraulic Oils:• Omnilube® FGH 1000 Series Multi-Purpose Hydraulic Oils.-These oils are suitable for hydraulic systems, bearings, oven chains, canning applications, and valves.• Omnilube® FGH 2000 Series High Load AW Multi-Purpose Hydraulic Oils. - These premium quality oils are intended for use where longer oil change intervals or more extreme duty cycles require a longer lasting, heavier duty product. 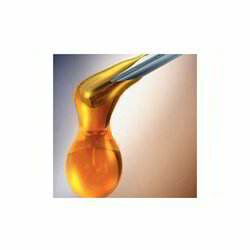 Gear Oils:• Omnilube® FGG 1000 Gear Oil Series. - These oils are suitable for use in gear sets, worm gears, bearings and as chain lubricants.• Omnilube® FGG 2000 Severe Load Gear Oil Series. - These premium quality oils are intended for use in more severely loaded applications than the 1000 Gear Oil Series. Grease:• Omnilube® FGM2 Grease-This multi-purpose PAO based calcium complex sulfonate grease offers outstanding performance in a wide variety of applications including use in wheel bearings and as chassis lubrication. Chain Lubricants:• Omnilube® PG-130-FGChain Lubricant - This H-1 food grade polyalkylene glycol based chain oil is designed for use on chains where higher temperatures areexpected. It will not leave deposits associated with some other oils.• Omnilube® PG-220 FG Chain Lubricant. - This H-1 food grade polyalkylene glycol based chain oil is designed for use on chains where higher temperatures areexpected. It will not leave deposits associated with some other oils. As an affluent supplier in the functional domain, we are betrothed in offering our clients superior quality High Temperature Greases. The offered greases are processed using finest quality raw material and advanced technology under the strict supervision of our vendors’ adroit professionals. 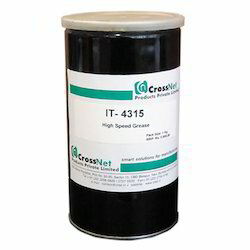 Ideal for protecting machine parts from rust and provides smooth functioning, we offer these greases in various packaging options at market leading rates. Problem: Bearings fail prematurely; frequent lubrication and costly maintenance. Solution: Use IT-4311. This grease formulation is based on synthetic stocks and stable thickeners. Longer re-lubrication intervals can be achieved. The greases are extremely stable at high temperature and protect against wear. 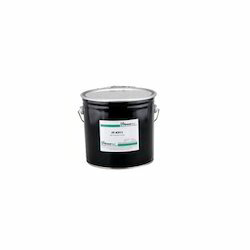 Our product range includes a wide range of Industrial Greases such as Electrically Conductiing Grease, High Speed Plastic Compatible Grease, High Vacuum Silicone Grease, High Speed, Low Temperature Electrical Contact Grease, High Speed Grease For Textile Applications, High Temperature Teflon Impregnated Grease and many more items. 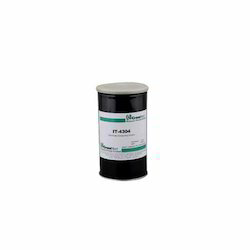 We are the highly sought-after and widely commended providers of a fault-free collection of Lithium Grease are specifically fabricated utilizing premium-quality raw material with the aid of advance technology. These products are accessible in a variety of packing options. Apart from this, we are offering them in standard as well as modified forms. 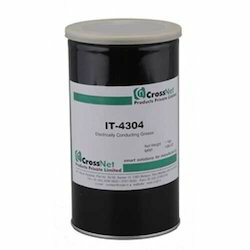 IT-4109 is premium quality to be used under a wide range of temperature conditions for light-load applications where there is metal-to-metal or metal-to-plastic friction at low to high speeds and at low temperatures. The grease is designed for use on valves operating at very low temperatures, in roller and conveyer equipment, control cables, Bowden cables, electric motors, photographic equipment, optical equipment, measurement equipment etc. It is also used for lubrication between rubber and metal parts in pneumatic systems, for lubrication of ‘O’ rings.& other general industrial applications. The lubricant has a wide temperature range, a high chemical inertness & no corrosive effect on metals. It is neutral to most elastomers & rubbers; no plasticizing effect on rubber and plastics. Resistant to solvents, it also provides a good corrosion protection. Loads of appreciation comes our company's way owing to their finest quality Lubricant Grease. Offered grease is processed at our vendors' highly developed processing unit using high grade petroleum compounds with the aid of sophisticated machines and technology. 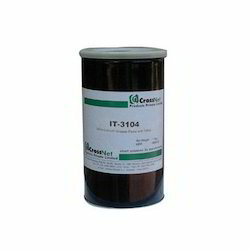 Our offered grease is used in varied types of industrial machines. 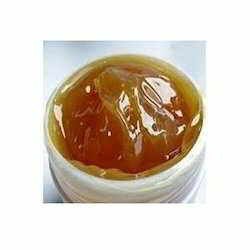 Moreover, this grease is examined on various quality parameters to ensure its purity. 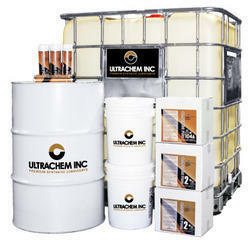 Further, the provided grease can be purchased from us at industry leading prices. We are among the illustrious industry players, engaged in offering Multi-Purpose Industrial Grease to our valuable customers. The offered formulation is widely used in automotive industries and is much regarded for its optimum viscosity and anti-wear properties. This grease imparts high corrosion resistance. Customers can avail this formulation at competitive prices. The grease has a service temperature range of - 30 up to 200 °C and is used for lubrication of trolley bearings, conveyor bearings; calendar rolls bearings, induced draft fans or drier bearings etc. It exhibits and excellent resistance to heat & shows a good mechanical, oxidation stability. It maintains a constant consistency over its operating temperature range and resists water washout. We have hired a team of experienced professionals who offers our clients superior quality Vacuum Greases. 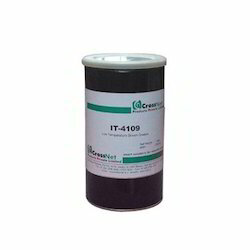 The provided greases are widely demanded in various industrial sectors for smooth functioning of machines. Offered greases are processed using premium quality chemical compounds and advanced processing methods in line with industrial standards. Following the diversified demands of our clients, these greases are available with us at industry leading prices.